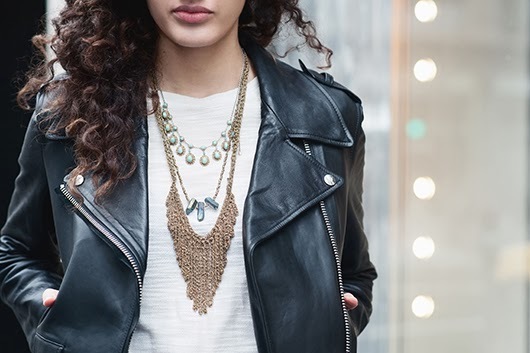 Celebrating jewelry is our current obsession but we'll always have eyes for fashion. 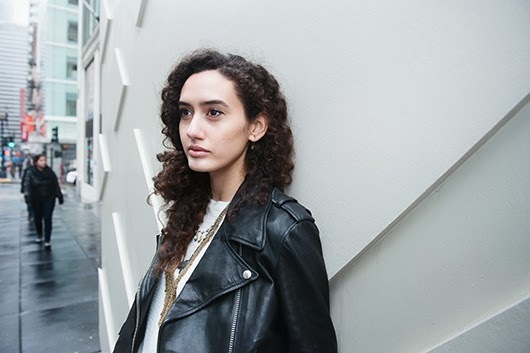 For our latest shoot the talented photographer, Maria del Rio, shot Carly on a rainy day. We pulled together looks from three of our favorite shops, Rand+Statler, Paul Smith SF and the queens of vintage, Mercy Vintage in Oakland. Jewelry from Metier: Arts & Crafts Diamond Sunburst Pendant/Pin, Antique Italian Angel of Hope Cameo Pin, Antique Crest Pendant as a pin, Antique Gaylord Silvercraft Monogrammed Cuff, Antique Festoon Cuff and Jeanine Payer Cuff in-store. Clothing: Bib Front Silk Shirt with netted collar and Black Narrow Trousers from Paul Smith SF, black crew neck (model's own), Vincent Mules by 3.1 Phillip Lim from Rand+Statler. Conroy & Wilcox Safety Pin Earring. 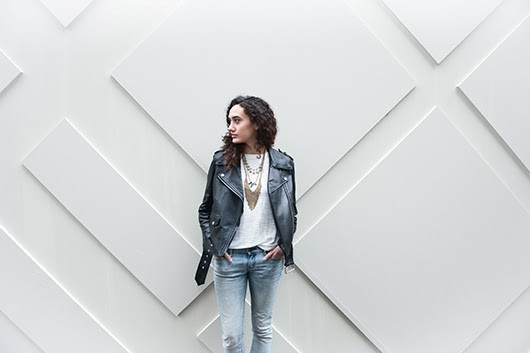 Clothing: The Best Biker Jacket ever by Acne and White Tee by Anine Bing from Rand+Statler. 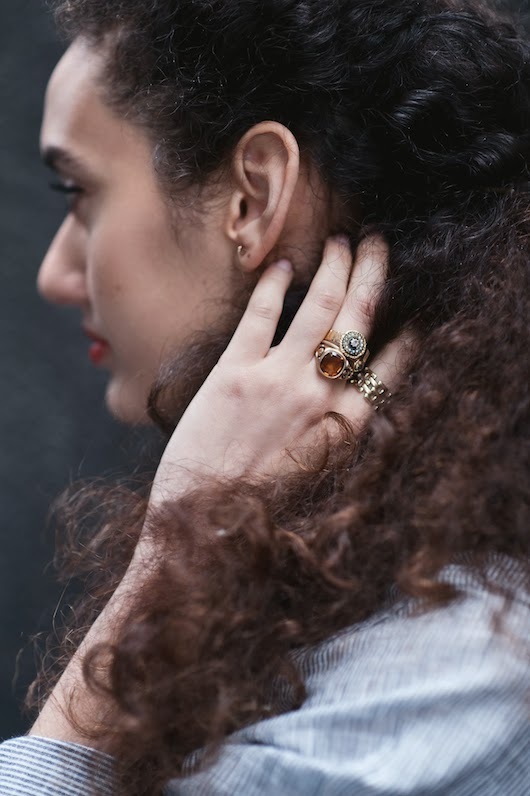 Jewelry and Accessories from Metier: Vintage Striped Brass Necklace, rings (see below), Shawn Burke Ltd. Red Suede Bag, Golden Pony Workshop Horsehair Tassels. Clothing: Vintage Suspender Pants by Yohji Yamamoto from Mercy Vintage, Striped Blouse by Nili Lotan and Vincent Mules by 3.1 Phillip Lim from Rand+Statler. Metier rings: Georgian 18k Diamond & Pearl Ring, Conroy & Wilcox 18k Grey Diamond Ring, Victorian Czech Madeira Citrine Ring, Vintage 1960's 10k Gate Link Ring.